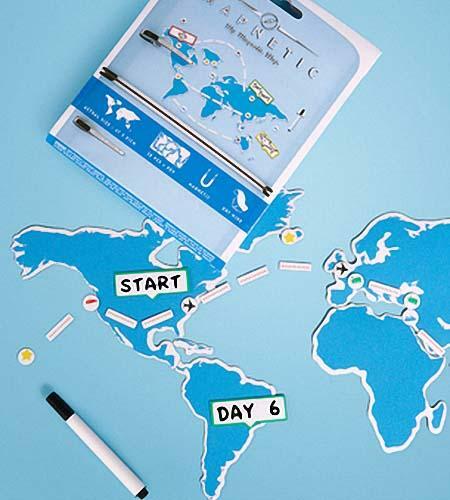 Want a creative way to display your tour route to your family? 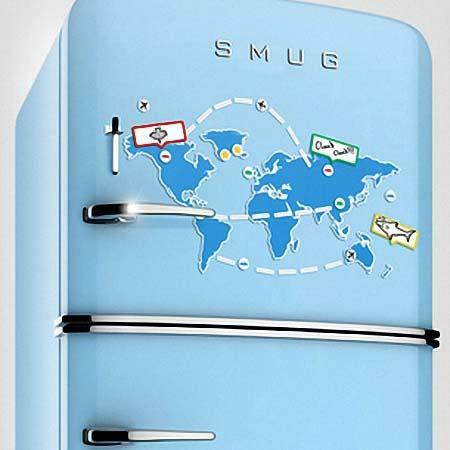 Take a look at the magnetic world map fridge magnet set, the small gadget should be a nice idea. This is an interesting fridge magnet set inspired by world map. The magnet set contains 58 magnetic pieces in total, and as we can see from the images, using those blue pieces, you can easily form a simple world map that include all the continents in the world. 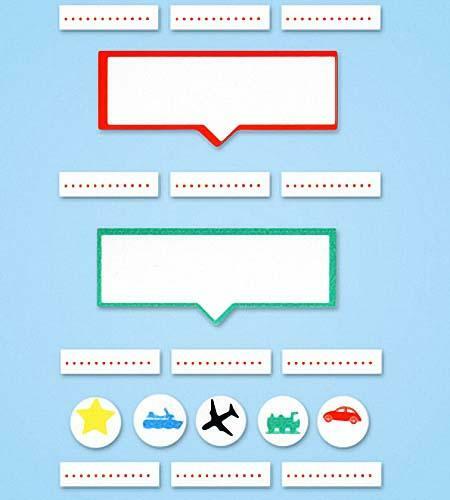 Moreover, the magnet set also has twelve dotted lines, five fun transportation options and two speech bubbles in order that you can conveniently mark your tour routes on the magnetic world map, announcing your next trip. Apart from that, the magnet set also comes with an easy clean up dry erase marker for extra words on the map. The magnetic world map fridge magnet set is priced at $24 USD. If you’re interested, jump to fred flare for more details. Additionally, if you need other options, you might like to check the disguise fridge magnet set and more via “magnet set” tag.